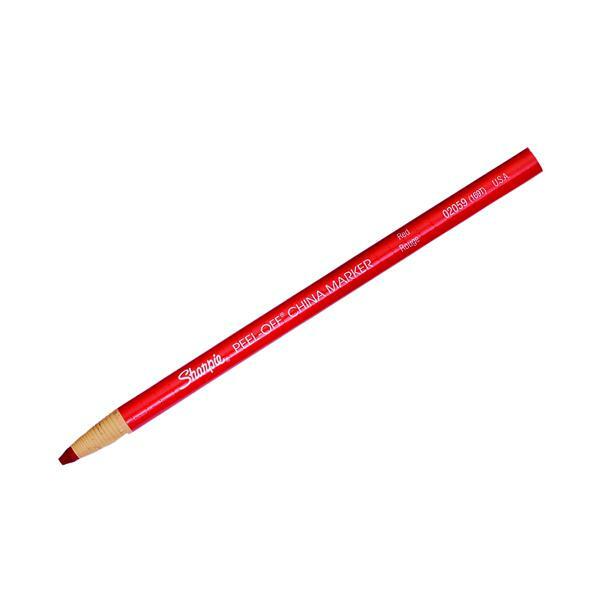 • Wax china marker, ideal for smooth glossy surfaces. • Easy to sharpen by pulling a fine cord to unwrap a new length of wax core. Use Sharpie China Markers on glass, metal, china and plastic surfaces for technical tasks or measurements. The soft wax tip marks clearly without damaging the material underneath and is water and light-resistant. There is no need to sharpen the tip, either, just pull the wrapped string to expose more wax for additional work. This pack contains 12 red markers.